Clay Mosher – The Changing Landscape of Marijuana | WSU Vancouver ResearchNow! ← Renee Magnan – Is Physical Activity a Treatment for Alcohol Abuse? The recreational use of marijuana is legal in four states, and medical marijuana is legal in 23. Now what? It will be a complicated job to establish and enforce effective, reasonable marijuana laws that the public can get behind. 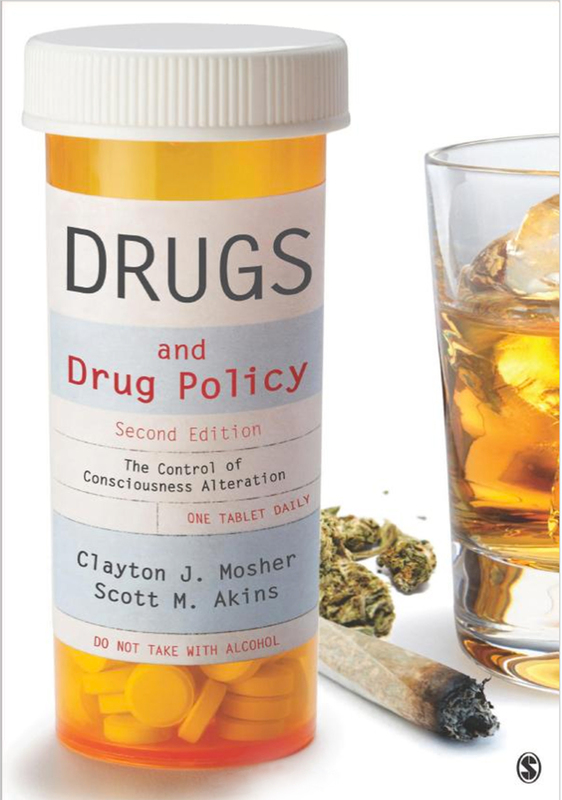 Drawing on decades of research examining facts and data about drug use and enforcement, Clay Mosher is developing a book manuscript tentatively titled “The Changing Landscape of Marijuana—Legalization, Demonization and Normalization.” Mosher, professor of sociology at WSU Vancouver, collaborated with Scott Akins of Oregon State University on a popular textbook, “Drugs and Drug Policy,” now in its second edition. Mosher hopes to see the marijuana book published before the 2016 elections. Whenever it comes out, it is sure to stir up attention and controversy. When Mosher presented a paper on the subject at a conference, four publishers wanted him to write a book. One complication in developing sound marijuana policy is the sheer number of agencies involved in regulating drugs—at both the state and federal levels. Marijuana arrests and the continuing prohibition of marijuana are useful to those agencies. Law enforcement agencies report their drug possession arrests as evidence of their accomplishments and proof that they should receive additional funds. Marijuana arrests enable policy departments to obtain data (such as fingerprints and photographs) of people who would not otherwise be in their databases. Some 2,700 drug courts have sprung up around the United States to offer certain offenders treatment instead of incarceration. “If the marijuana legalization movement were to spread to other states, who would fill these treatment slots?” said Mosher, who has formally evaluated several drug courts in Clark County and elsewhere. The book will examine many facets of marijuana use and regulation—from the effects of the drug to its legislative history to the emerging backlash (or “demonization”), such as perceived threats to children, the gateway drug theory, and marijuana’s relationship to brain damage and violent behavior. This entry was posted in Substance abuse and tagged drug policy, substance abuse. Bookmark the permalink.